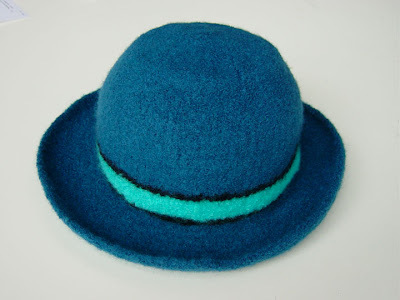 This is another felted hat just like my brown one (pattern from Fiber Trends. This one is knit with Knitpicks Merino Style wool. It is lighter weight and not as fuzzy as the brown hat knit with Lambs Pride bulky. It took about a skein and a half of the color Storm and I used a little Black and Tide Pool to knit the band. Fauna Makes the Cover of Quilting Arts!